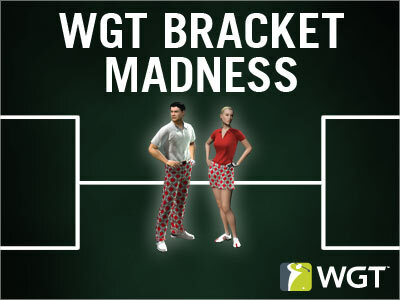 While you're catching all the March Madness action this month, join a WGT Bracket Madness tournament to compete for WGT Credits. Throughout the month, we'll be running different types of bracket tournaments for new challenges, so be sure to check back and play! THIS WEEK: Play high-stakes speed brackets, with quick rounds to compete head-to-head in 9-hole stroke play games, to win WGT Credits. Brackets are games where you compete against other players head-to-head, with winners advancing to the next round until a final champion is decided. 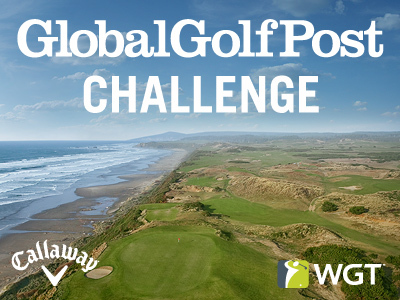 Play the free Global Golf Post Challenge presented by Callaway Golf on WGT this month to win real golf club prizes. WGT partner Global Golf Post is hosting this special tournament on Bandon Dunes, where you can compete for the 200,000 WGT Credit purse. PLUS, two lucky sweepstakes winners will win a real Callaway XR driver and a real Odyssey Works putter. Play now through 3/31/15, see rules for details and eligibility. THIS WEEK: Play paid speed brackets, with quick rounds to play faster in either 9-hole stroke play or closest-to-the-hole, for larger WGT Credit payouts. WGT Country Club members, play CC Event #6 going on NOW thru Sun, 3/15. Compete against other country clubs this weekend for in-game rewards, new shamrock tee markers and flags, and club pride. Play this month's WGT Virtual Tour Major tournament to close out the first quarterly season, featuring a 400,000 WGT Credit purse. 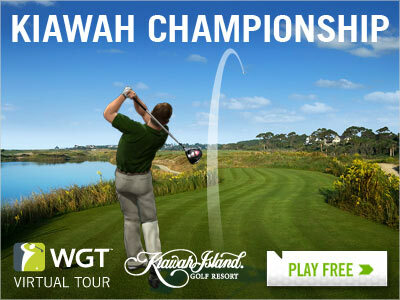 Play the Kiawah Championship Major in March to compete for the huge total purse and determine your quarterly season standing. Post your first round score by 3/25 to qualify for the final two single-play rounds (3/26-3/28 and 3/29-3/31). Improvements for the 2015 WGT Virtual Tour season include shorter 3-month seasons with more champions and more competition, plus a chance to watch top players every month live on Twitch. 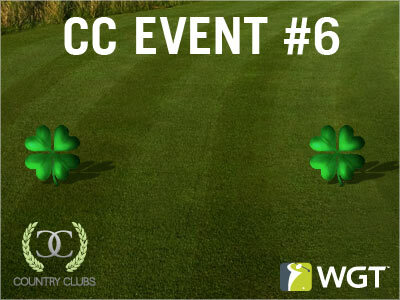 Play CC Event #6 this Sat-Sun 3/14-3/15 to compete against other WGT Country Clubs for pride, new shamrock tee markers and flags, and other country club rewards. Play Chambers Bay, the newest WGT course, in the Virtual U.S. Open Front 9 Challenge. 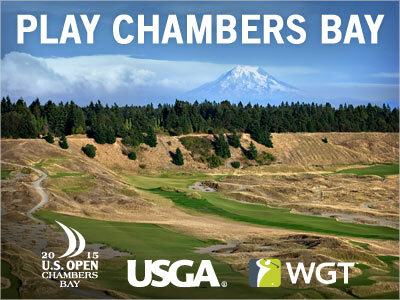 Chambers Bay is the host of the 2015 U.S. Open, and you can get your first look at the course in the Front 9 closest-to-the-hole tournament on WGT. Post your best score in this unlimited play tournament for your chance to win a $500 USGAshop.com gift card.